SEO copywriting is about writing copy that ranks well in search, and is one of the most important aspects of your SEO strategy. Successful SEO copy is compelling, interesting and relevant for your target audience. It’s copy that they want to share and promote themselves, and makes your readers trust your brand. High quality SEO copy is also more likely to rank well in search engines, drive valuable traffic to your page and generate leads and sales. You need to find out who you are writing for before you can try and write content which will appeal to them. Spend some time finding out the age, gender, geographical location and any other relevant demographics of your target audience before you start writing. SEO copy should sound natural. 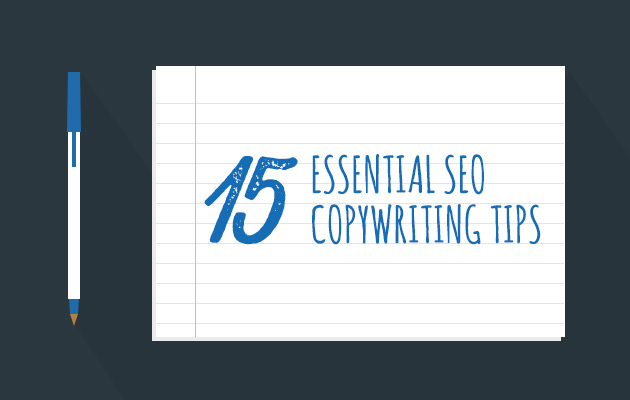 Don’t over optimise your copy by throwing in too many keywords. In fact, you should forget about keyword density altogether! Now search engines use LSI to find relevant pages, so consider using synonyms of your keywords and long-tail phrases containing them. Although it’s robots who crawl the site, it’s humans who read it. You should still use relevant keywords in your copy, but don’t overdo it. After all your research, you should have an idea of who you are writing for and how you should speak to them. Consider whether you should take a formal or informal approach and what kind of vocabulary your readers will respond well to. The headline is the most important part of your page or article, as it’s what makes readers decide to read on or leave the page. Take the time to consider an eye-catching, compelling headline containing your SEO keywords. Check out these 10 savvy secrets to writing the perfect headline. Subheadings are great for SEO as they describe what your content is about to the crawlers. They’re also great for readers as they allow them to skim read the content and they give the content structure. Use h2 and h3 tags to give your copy structure. A clear and easy to read font is essential for good SEO copy. Busy readers will not waste their time trying to read your content if the font is too big/small or just not aesthetically pleasing. Take time to put important words in bold give emphasis to words with italics. This will make your copy easier to read and draw the eyes to the most important parts. Don’t let your copy become boring. Use powerful and emotive words to persuade your readers to take action. Check out this list of words and phrases that convert to help you write engaging copy. The subject of your content needs to be interesting for your readers, so find out what they want to know. Find out what’s going on in the market that could be relevant for them, and what kind of websites they visit or magazines they read. There are many ways to find ideas for great copy, try these 30 Inspiring Content Ideas to get you started. When it comes to well-ranking copy, the longer the better. Several studies have shown that longer content tends to rank higher in the search engines, such as this one from seomoz. According to research from serpIQ, the average content length for a web page that ranks in the top 10 results for any keyword on Google has at least 2,000 words. As well as having more text, higher ranking pages tend to contain more images. Articles with images get 94% more views than those without. Your images should be high quality, relevant to your copy and, for SEO purposes, have keywords in the Alt text. Linking to other, trusted sites such as informative articles and useful resources will not only give your content added value in the eyes of your readers, it will give it more value in the eyes of search engines. Linking internally to other pages of your own site will also add value, as it improves user experience and the ‘crawlability’ of your site. Using web analytics tools such as Google Analytics, you can monitor which of your pages are most popular with readers, and base your future copy around this. Analytics can tell you your page’s bounce rate (how many people are leaving it without visiting any other pages on your site), how many people are liking and sharing what you’ve written and much more. The CTA (call to action) is one of the most important parts of the page, as this is what’s going to convince readers to take the desired action. Spend time writing the most effective CTA for your specific target audience. Read this article called Your Call to Action is Lame! for ideas on creating a successful CTA. It might sound obvious, but before you let anyone see your copy, check and double check for spelling and grammar mistakes or any other silly errors. Once that’s done, it’s time to get your page or article out there! From your research you should know the most effective way to reach your target audience, so use the most effective channels to reach them. If you need a helping hand writing effective SEO copy, why not get in touch today for a chat and see what we can do to help you.